Adbusters Magazine is dedicated to educating the public about what the editor’s feel is an “erosion of our physical and cultural environments. Buy a single copy or subscription to Adbusters magazine. 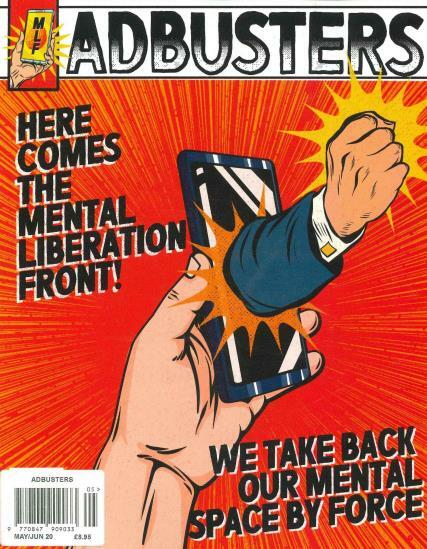 Adbusters Magazine is published in British Columbia, Canada and is sponsored by the Adbusters Media Foundation. The philosophical magazine is dedicated to educating the public about what the editor’s feel is an “erosion of our physical and cultural environments.” The articles cover a wide range of concerns from genetically modified foods, inequality in the global economy and ecological involvement. The goal of the publication is to get people involved in working toward a world where the economic needs of the world is balanced by ecological concerns. The quest is to turn readers from “spectators to participants” in this global quest.